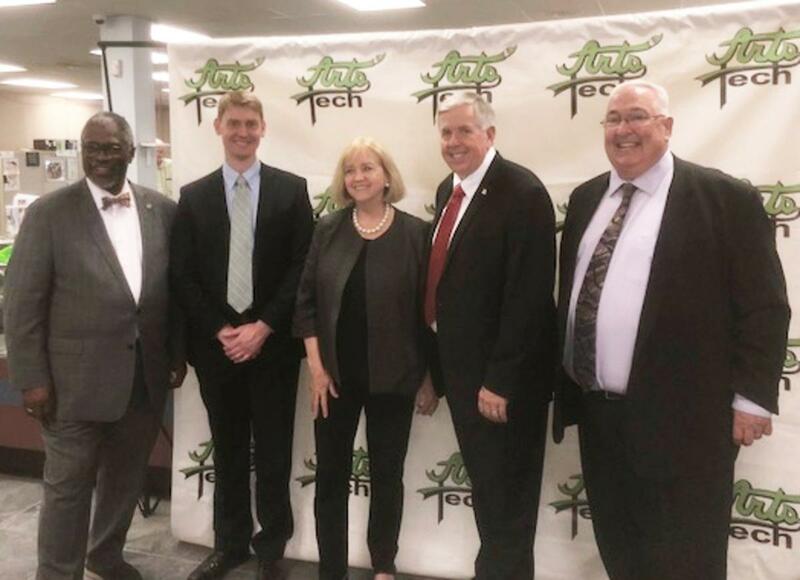 I wish the KC Star had covered what Governor Parson, Mayor Krewson, and Mayor James did after lunch. This trio came to ArtsTech and spent nearly an hour learning about the Mayor James/KC NoVA “Teens in Transition” program where young people displayed their artwork in conjunction with the Lyric’s Westside Story production. The trio talked to the youth about their flag-sewing project, which has the American flag on one side and the African colors on the other side. The trio listened to the Lyric’s summer campers who serenaded the TNT artists for their exceptional work whose murals will be part of the traveling play. The trio were engaged with many teenagers asking them questions and listening to what mattered to them…school, stopping the violence, and working together to better every community. Too bad the KC Star did not see how important our young people are to making a better life for all of us.